Getting new prophy patients in your office is good, but acquiring a steady stream of high-value cases is even better for dental practices looking for a boost in their bottom line. To earn these high-value patients, “marketing experts” typically say that you need to spend large amounts of money on their particular solution. These “experts” highlight their unique ability to identify these clients, drive them to your practice and ultimately turn your practice into the highest-grossing practice in the history of dentistry: “Just sign here, pay up-front for the first year, and watch the clients flock to your practice”. The reality is that identifying and earning the business of patients who are looking for high-cost procedures is not quite as simple as the experts make it out to be. Different patients look for different procedures in different places. A few will look on your website to find out what procedures you perform. Some turn to Google looking for information about the procedure itself, and then try to find a local provider. Others go directly to the product website itself, especially if it’s a well-branded one, to find information and a local provider. The key to winning these clients is to ensure that your name gets in front of them, regardless of where or how they begin their search. For the purposes of this post, let’s focus on the branded product search channel. A potential patient has become aware of a product and wants more information, so they head straight to Google, and search for the product name. This leads them to the product’s company website, where they read and decide this solution meets their needs. From here, they search the provider directory on the company website to find a dentist in their area that offers the product. If you are one of those providers, your name, address, and photo will appear in that list. Now, imagine what happens if your profile appears, but the provider listed just above you offers the patient the ability to schedule online in real-time. Which one do you think the patient will choose? Your profile where the patient must call the office between 9-5 (when they are also at work)? 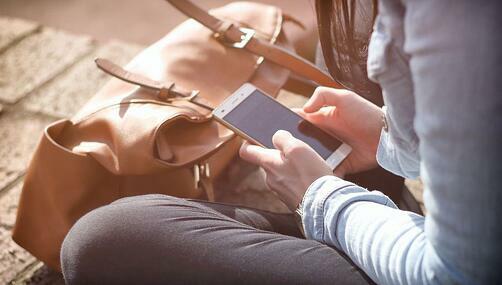 Or will they choose the provider they can simply schedule with right then, online? 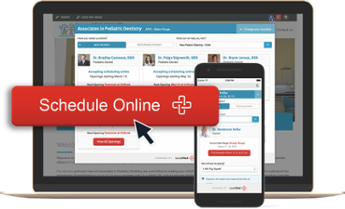 Six Month Smiles and LocalMed have partnered to provide dental practices the ability to offer real-time online scheduling to patients who are looking to book a Six Month Smiles consultation directly from the Six Months Smiles provider directory. Each month, over 30,000 patients research Six Month Smiles cosmetic braces and providers in their area at www.6monthsmiles.com. If you are interested in attracting more high-value Six Month Smiles cases to your dental practice, click below to learn more.